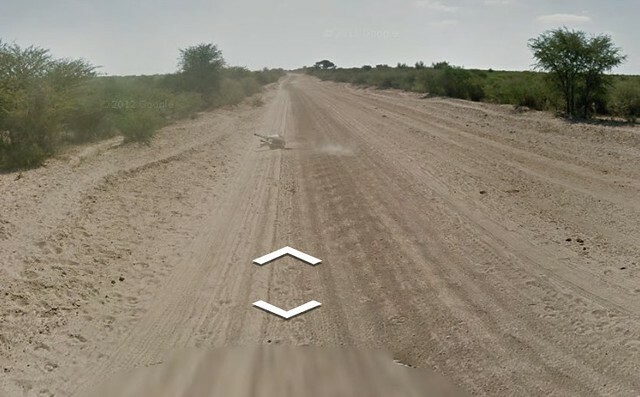 From one CNET reporting, someone found a doneky lying apparently motionless in the road in Kweneng, Botswana. It's hotly discussed if it's hit by the google street view car. 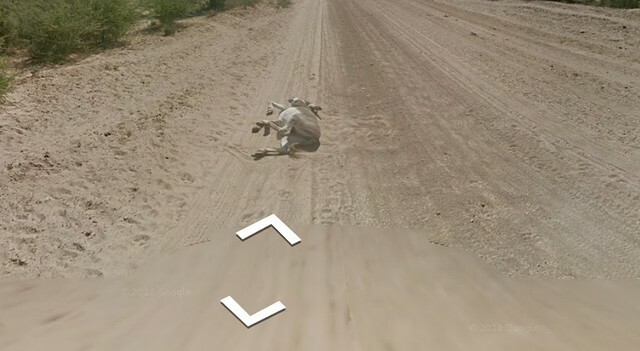 From the Google side, a spokesperson insisted: "Our Street View teams take the safety of people and donkeys very seriously." So is that doneky killed by google streat view car? It's hard to judge by a single picture, we might compare several ones from this event map. From the next ones we could see the donkey is struggling. Obviously, the doneky was down there before and possiblely was hit by google car. 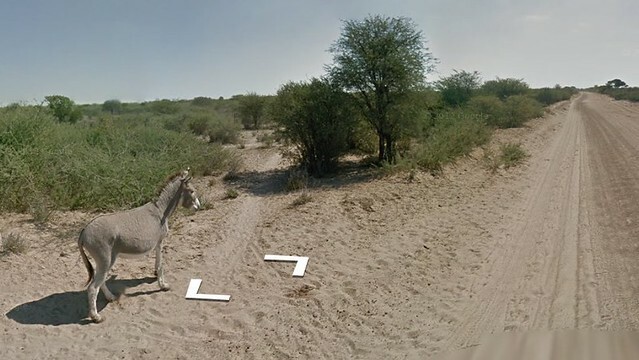 However, according to Melbourne University's Adjunct Professor of Zoology, that donkey was walking backwards in street view images, it could be already lying down and then subsequently got up and wandered off when the car was driving more and more close. So, possiblely the donkey was merely enjoying something we all occasionally need — a dust bath.